The unaudited consolidated financial statements have been prepared in accordance with and contain the information required by the International Financial Reporting Standards (IFRS) and its interpretations adopted by the International Accounting Standards Board (IASB) in issue and effective for the group at 31 December 2018 and the SAICA Financial Reporting Guides as issued by the Accounting Practices Committee and Financial Reporting Pronouncements as issued by the Financial Reporting Standards Council. The results are presented in accordance with IAS 34 – Interim Financial Reporting and comply with the Listings Requirements of the Johannesburg Stock Exchange Limited and the Companies Act of South Africa, 2008. These unaudited condensed consolidated financial statements do not include all the information required for full annual financial statements and should be read in conjunction with the consolidated annual financial statements as at and for the year ended 30 June 2018. These unaudited condensed consolidated financial statements have been prepared under the supervision of Mr OJ Janse Van Rensburg, CA(SA) and were approved by the board of directors on 25 February 2019. The accounting policies adopted and methods of computation used in the preparation of the unaudited condensed consolidated financial statements are in accordance with IFRS and are consistent with those of the annual financial statements for the year ended 30 June 2018, with the exception of new policies as required by new and revised International Financial Reporting Standards issued and in effect. International Financial Reporting Standards that have become applicable to Motus for the 2019 financial year include IFRS 9 – Financial Instruments and IFRS 15 – Revenue from Contracts with Customers (both standards are effective for Motus from 1 July 2018). The standard requires that impairment provisions for receivables are to be calculated on an expected loss basis rather than incurred loss basis. This is mainly effective in our Motus Financial Services segment, where the banks are now required to accelerate their provision for bad debts on non-arrear portfolios resulting in lower impairments when the loans become irrecoverable. This has a minor impact on the results of the profit share arrangements that Motus has with the banks. The change from the incurred loss to the expected loss model will also apply to other receivables within the group and due to the credit policy in place for sales to external customers the impact is minor. The standard has also resulted in a more simplified approach to hedge accounting which affects the Motus Import and Distribution segment. The application of IFRS 9 had no material impact on amounts reported in respect of the group’s financial assets and financial liabilities. However, there is a requirement for increased disclosure. A detailed review of the potential impact of IFRS 15 has been finalised. All material contracts have been assessed for any impact in terms of the five-step approach. The only change that this review resulted in, was a change to the application of the principal and agency decision processes in the recognition of revenue. As a retailer, the nature of the sales process is that transactions are completed in a short space of time and so the impact of the new accounting standard would be expected to be minor. Under the previous accounting standard (IAS 18 – Revenue Recognition) one of the indicators relating to the principal and agency decision processes was who took on the credit risk. 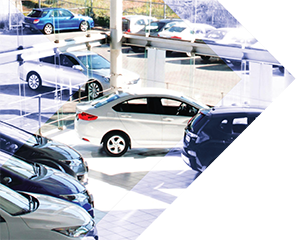 In terms of the agreements with certain of the suppliers in the Aftermarket Parts division, one of the entities agreed to carry the credit risk and reimburse the suppliers in the event of default. As this was seen as an unusual practise in the industry, it was agreed in that entity to treat the accounting as a principle arrangement and recognise the revenue accordingly. Under the new accounting standard, IFRS 15, credit risk is no longer an indicator, requiring that the transactions are now accounted for on the basis of an agency relationship. The restatement had no impact on profits, cash flows and the financial position, it only affected revenue and net operating expenses as detailed below. Due to there being no impact on the statement of financial position, an additional statement of financial position was not disclosed. Based on an assessment of operating leases that would be raised as assets and liabilities relating to 30 June 2018, adopting IFRS 16 would have the following indicative impact, with the Retail and Rental segment being the main contributor. As at 30 June 2018 the right of use asset for the leases would amount to R1 828 million. This balance is the take-on balance at inception of the leases being the present value of the minimum lease payments less the amortisation to 30 June 2018. The related lease liability would amount to R2 074 million being the present value of the minimum lease payments plus the related interest less the rental payments to 30 June 2018. The difference between the asset and the liability would be adjusted to retained income. In total, operating expenses would decrease due to a reduced rental expense partially offset by an increased amortisation on the right of use asset. Interest would be increased by the interest on the lease liability. The impact on net profit before tax would be minor. Level 1 financial instruments are those that are valued using unadjusted quoted prices in active markets for identical financial instruments. Level 2 financial instruments are those valued using techniques based primarily on observable market data. Instruments in this category are valued using quoted prices for similar instruments or identical instruments in markets which are not considered to be active; or valuation techniques where all the inputs that have a significant effect on the valuation are directly or indirectly based on observable market data. Level 3 financial instruments are those valued using techniques that incorporate information other than observable market data. Instruments in this category have been valued using a valuation technique where at least one input, which could have a significant effect on the instrument’s valuation, is not based on observable market data. The fair values of the remainder of the group’s financial assets and financial liabilities approximate their carrying values. The following table presents the valuation categories used in determining the fair values of financial instruments carried at fair value. There were no transfers between the fair value hierarchies during the period. The following table shows a reconciliation of the opening and closing balances of level 3 financial instruments carried at fair value. The valuation technique utilised to measure the fair value of foreign exchange contracts is based on the discounted future gains or losses on the underlying instruments. The future gain or losses are determined by taking the rate implicit in the underlying instrument in comparison to a forward rate which is calculated on the current spot rate plus forward points to the date of maturity of said instrument. The fair values of the level 3 financial instruments of which consists of the fair value of the preference shares and the accrued dividend income were estimated by applying a cash flow projection technique. Cash flow projections are based on expected dividends receivable. These cash flow projections cover a five-year forecast period, which are then extrapolated into perpetuity using a discount rate of 17%. The fair value measurement is based on significant inputs that are not observable in the market. Key assumptions used in the valuations includes the assumed probability of achieving targets and the discount rates applied. The assumed profitabilities were based on historical performances but adjusted for expected growth. The following table shows how the fair value of the level 3 financial assets as at 31 December 2018 would change if the significant assumptions were to be replaced by a reasonable possible alternative. # The capital commitments relate to the construction of buildings to be utilised by Motus. * The contingent liabilities include letters of credit and guarantees issued by banks with the corresponding guarantee by the group to the bank. Please refer to acquisitions for the period. There were no material disposals noted during the period. Shareholders are to be advised that an ordinary dividend has been declared by the board of Motus Holdings Limited on 25 February 2019. For further details, please refer to the dividend declaration.